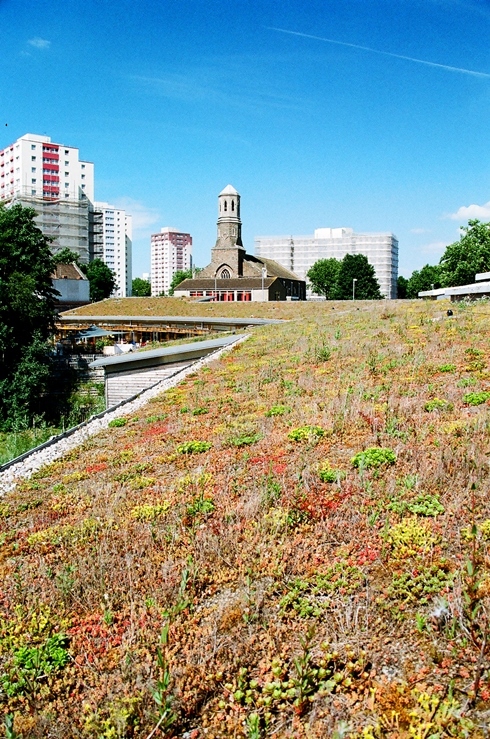 There are several practical, business-scenario benefits to green roofs. Among other things new rebates and tax deductions crop up that could help ease the financial burden. Green roofs can help community and state costs, a study completed by researchers at the University of Michigan found that greening 10% of Chicago roofs would result in public health benefits of between $29.2 and $111 million, due to cleaner air. Whilst this doesn’t help in individual project costs, the economic benefits of green roofs to our government will most likely only become more apparent as further studies are taken into consideration. Potential increase in property value. Due to the nature of a green roof and their aesthetic qualities. It has been suggested that the lifespan of the building’s roof and walls can be increased (in some cases, doubled). This is due to the protection from temperature differentials and the resulting expansion and contraction that normally shortens a roof’s lifespan. They also provide protection from severe weather damage. The presence of green roofs and walls in business premises will also present a positive image to customers and boost a company’s green credentials.